H&M is putting a green spin on a blue icon. 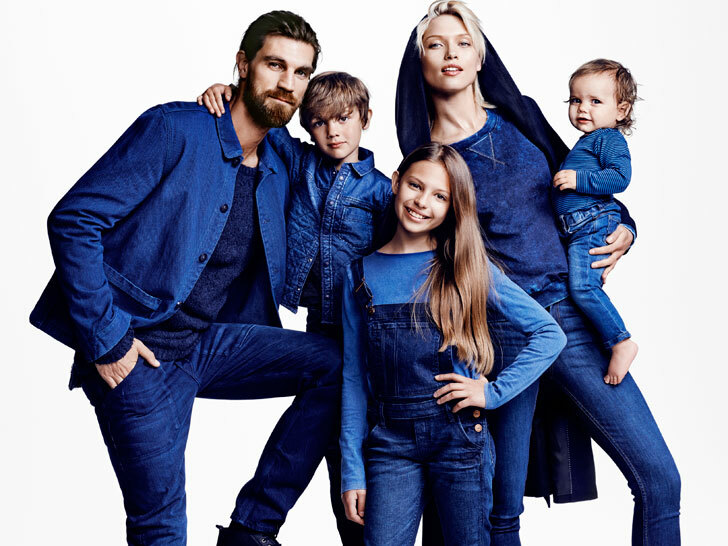 Come October, the Swedish retailer will introduce "Conscious Denim," an extensive line of indigo essentials for men, women, and children that promises to reduce the environmental impact of jeans. To ensure its denim-washing processes cut sustainable muster, H&M consulted with Jeanologia, a Spanish company whose E-Soft technology uses 98 percent less water and 79 percent less energy than traditional denim-finishing techniques. Every item in the Conscious Denim collection will feature the “Clevercare” label, which includes planet-friendly laundering suggestions. The range includes myriad jean cuts and washes (low or high waist, skinny, tapered, or boyfriend-style, to name a few), as well as dungaree-complementary styles such as boilersuits, indigo coats, twill workwear jackets, and knitted “jogger jeans” in organic cotton, organic linen, Tencel, and recycled wool. Two of the styles comprise recycled cotton from its global textile take-back program. Conscious Denim will be available October 2 in 1,000 stores for women and 700 stores for men worldwide, as well as online at www.hm.com. Can they be more specific about what makes it sustainable?